Thank you and welcome …. This trellis used to be indoors until they closed the flower shop. It looks like they were willing to let this atrellis go to whoever had a desire to take it. There was a sign … Take Me – I’m Free. I liked the trellis without the sign. Yes … it’s in Arcadia in an anitque district. Glad you recognized it. 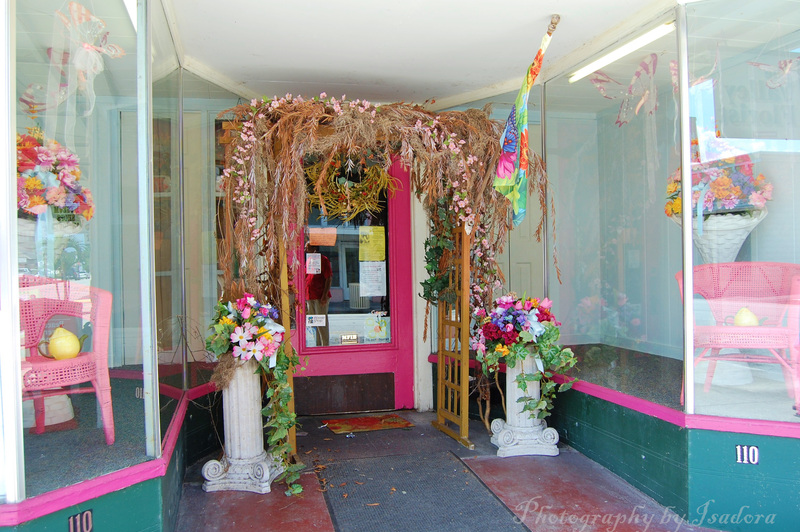 A cute little flower shop in an antique area I visited. ~~~~~` : – ) A little flower shop in an antique distrcit that was closed. I thought the arch was cute.